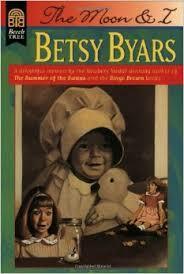 Betsy Byars writes her memoir, The Moon and I, as she might one of her novels. She starts with a potential problem, that of glancing up to see a snake overhead. Throughout the rest of the chapters, she intersperses interesting tidbits about her life. And then Byars ends her memoir with a fun resolution regarding snakes. Her main narrative is about her subsequent adventures with the snake, whom she named Moon, while the subplot so to speak contains flashbacks about her life. Case in point, chapter two talks about how growing up, Byars wanted to work in a zoo. She intended to take care of the baby animals whose mothers had rejected them. For this reason, Byars and her best friend played “Zoo” a lot. This meant setting up zoos in the backyard and then begging people to come and view the exhibits. It also meant there were always on the alert for new acquisitions. One day, the two girls came across some eggs and brought them home. When her egg hatched into a snake, Byars wanted to keep the snake but her mom demanded she release it. 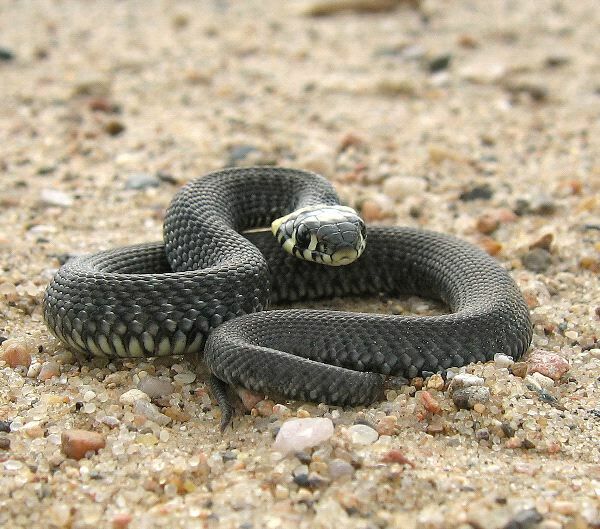 And so now as an adult, well, she kind of wants to keep that overhanging blacksnake for a pet. Soon enough, Byars discovered as Mark Twain once pointed out, “Everyone is a moon and has a dark side which he never shows to anybody.” With this twist you can see that Byars is still busy creating an exciting narrative memoir. First though, Byars informs readers that character names are important to her and that she used the name Bubba every time she had a dislikeable character. This is because as a child, a boy named Bubba was the neighborhood bully. Once he even tricked her into touching a mummy hand. Next, Byars tells us that she loves to type title pages. And so even before she has figured out how her memoir will transpire, when all she has are the characters and the setting, she types a title page: The Moon and I. For Byars, there is no single moment in her life that brings her more satisfaction than a title page. It’s a door about to be opened. But even with having the title, she still doesn’t know how to develop The Moon and I and so she begins to research. In doing so, she read many charming and not-so charming stories about snakes. She also decides to try and touch Moon. As part of her becoming an authority on her topic, which all authors must do. And in the course of getting to know Moon, Byars discovers his dark side. Moon bites her! Her next scrap occurs when, after reading plenty of how-to books, Byars sets out to capture Moon. Along the way, a third scrap develops when Byars found a dead blacksnake in the middle of the road. She stopped her car, picked up the snake by the tail, stuffed it into a paper bag, and then threw the bag in the backseat. When driving home, the bag moved. So there went that snake. And Byars returns to her original objective of trying to capture Moon. Here, Byars shares about how she isn’t a particularly patient person. Which is why she has developed strategies for dealing with the blank page. The first thing is that she goes to the library and reads the first sentence of each book. As soon as one inspires her, Byars goes home to write. When she finds herself stuck again, she pretends to be the reader. She glances back over her pages and starts wondering: “What does the reader think is going to happen? What have I led the reader to expect will happen?” Byars finds that the answers will always come if she waits. But waiting is hard! This is a lesson she learned in grade one. Her sister had attended school ahead of her. Her teacher’s name was Miss Harriet. This teacher allowed kids to paint, build stores, and other stuff. She also read to the students a book called The Adventures of Mabel. When Byars finally got ready for first grade, she determined that Miss Harriet would be her teacher. Even when her name got called for another class, Byars felt so strongly about having Miss Harriet as her teacher that she snuck off to her class. When the principal finally found her, Byars still got to stay. And she discovered that a good book is always worth a wait. Her next scrap happens when an eleven-year-old boy knocks on her door. He asks Byars if she would like to buy a snake. And so into her life came Satellite. But Byars still loved Moon. One of her favorite things about being a writer is that she is own her boss. It’s also one of the worst. Because she alone has to force herself to write. One way she does this is to say, “Betsy, there is a writer in Kansas who is working on the exact same book as you are working on. A snake appeared on her front porch….” She’ll also reminder herself of an upcoming trip, issuing the warning that the book will still need to get done when she returns. And so the first chapter gets done, then the second, and the third, until the book is done. Then the bigger issue becomes letting go. With The Moon and I, the difficulty with writing the end was that her two snakes were in a state of hibernation. As I noted at the start, Byars soon came up with a fun solution. One that even inspired a new title…. I have deliberately not shared that solution. Or many of the many other escapades Byars shares about her life. Or the various insights into writing she provides. Those are yours to find in the The Moon and I.